Alison is getting reassurance. Will it all be okay? Alison is being pointed at, but that isn't breaking her. 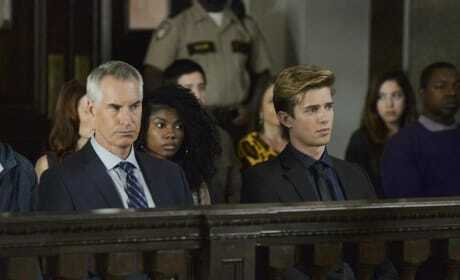 Is Ali's dad and brother back to being friends, or is it all for show? 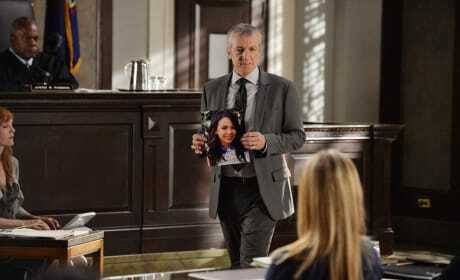 Is Alison really being forced to look at the picture? 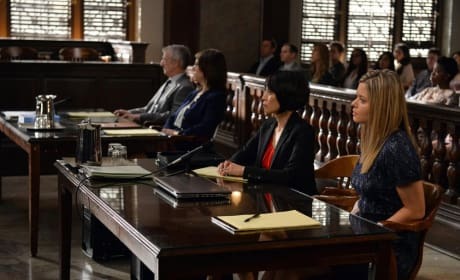 Alison appears to be being backed up by her fellow liars. 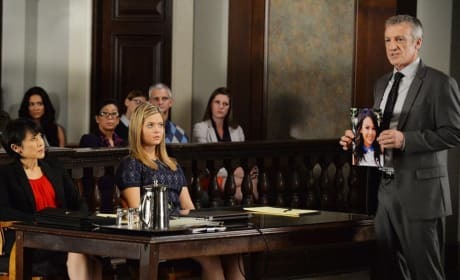 Alison is shown a picture of Mona, who she allegedly killed. 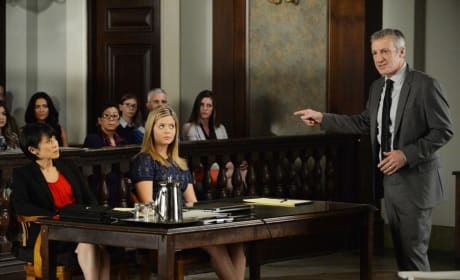 Alison looks awkwardly at her father. Does he think she's innoccent? 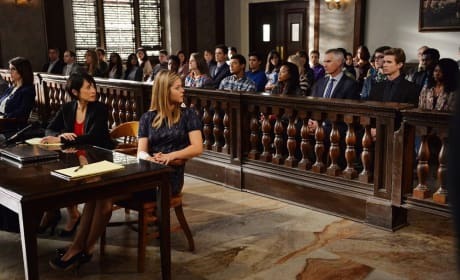 Alison's trial begins. Will she reign supreme and walk out a free liar? 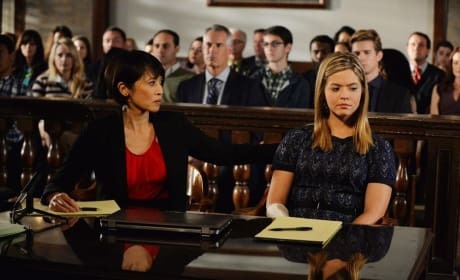 Is Ali throwing Hanna some orange to go along with them lies? Alison Dilaurentis sneaking around? That must be a first. 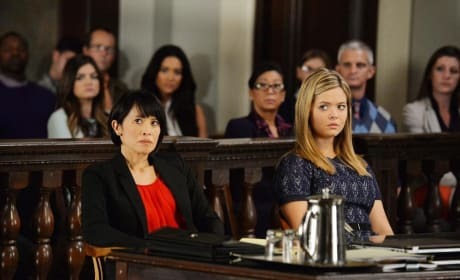 Alison is looking annoyed with Hanna. Is that a change? Alison looks unamused by whatever story Alison is telling her.